I wasn't sure about wanting to see another movie in this franchise, but with "The Fate of the Furious" trailer showing so much destruction and action, I just can't wait for this new installment. 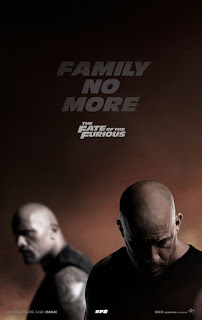 Family has always been in the forefront of the Fast and Furious franchise, now what the hell is going on with Dom? What is Ian Shaw, played by Statham, going to do when he is forced to join the crew? This whole story seems to take the franchise in a new direction, I just hope there will be actual resolution and it won't leave fans with a cliffhanger. We will all have to wait, until April 2017, and see the answers to all the questions the trailer brings up.